Tonight I’m celebrating my wedding anniversary AND participating in the TGTaste on Wednesday, April 18 at 5 pm PST with Chateau Ste. Michelle’s Winemaker, Wendy Stuckey and head Thirsty Girl, Leslie Sbrocco. I’m also bringing a bottle of their 2005 Luxxe sparkling wine for our anniversary celebration! Since these rieslings work really well with food, I debated what to make for our dinner and to taste with food since I think that wine is a beverage that shines with food and is a natural part of a meal. I perused John Sarich’s Chef in the Vineyard. John is the culinary director at Chateau Ste Michelle; he started in the wine and food business there in 1976, the year the winery first opened its doors. But in the end, we decided to go with a classic and easy pair–riesling and Chinese food! Instead of take-out, we made arrangements with Gary at Golden China Restaurant located on the Seaward exit in Ventura off the 101 to conduct our twitter tasting there–and stay for dinner and an anniversary celebration with lots of friends: my husband and I were married 9 years ago today! 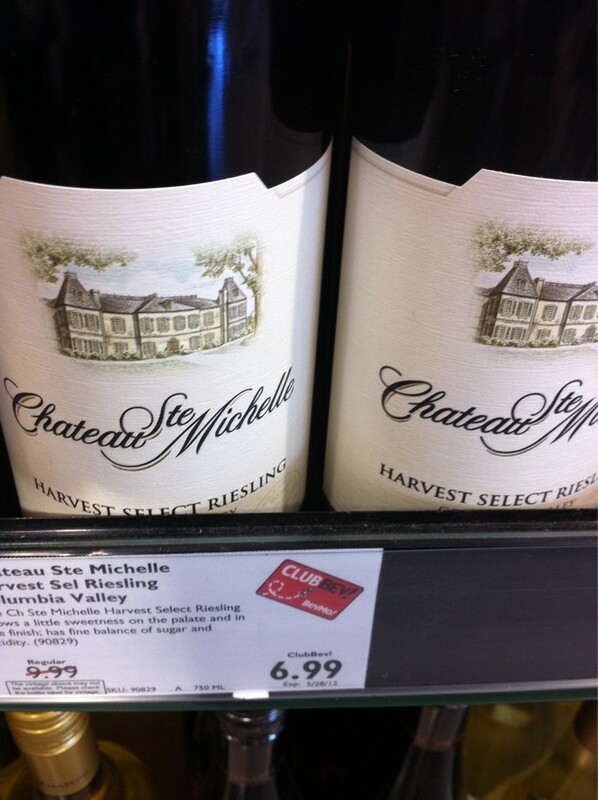 http://thirstygirl.com/blog/2012/04/09/tg-taste-chateaustemichelle-riesling-april-18/Yes you can participate too! 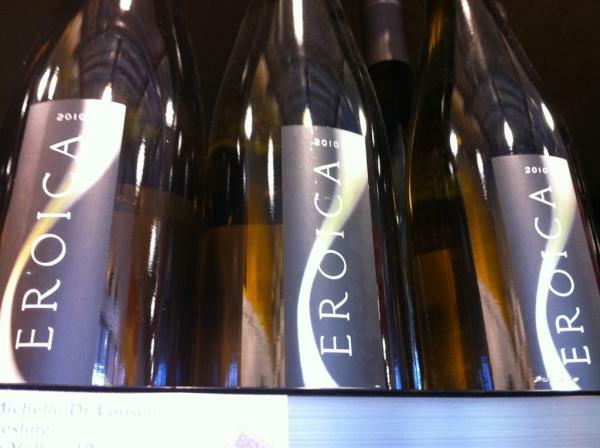 These wines are easy to find! Open a bottle wines and share your thoughts! During the chat let us know what you thought of the different Rieslings. Did it open up over a little time? If you made something special to pair with, what was it? *Tip: We love to see photos of what you’ve paired with the wines! How does it compare with other wines? What would you like to know about how it was made? This promotion is sponsored by Chateau Ste. Michelle. On twitter they are @stemichelle (https://twitter.com/#!/stemichelle). It’s also sponsored by Thirsty Girl, @beathirstygirl (https://twitter.com/#!/beathirstygirl). Wendy Stuckey will be tweeting through the @stemichelle username and Leslie Sbrocco will be tweeting as @lesliesb. The moderator will be on the @beathirstygirl account.Please use the hashtag #TGTaste when speaking about this event so we can keep track of what’s going on out there! *These wines were sent as a gift related to this event. Look for a follow-up blog post about the wines and how they went with the various Chinese appetizers and dishes!